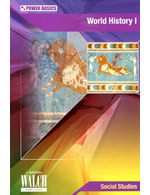 This revised textbook program covers 8,000 years from the beginning of human society to contemporary times. 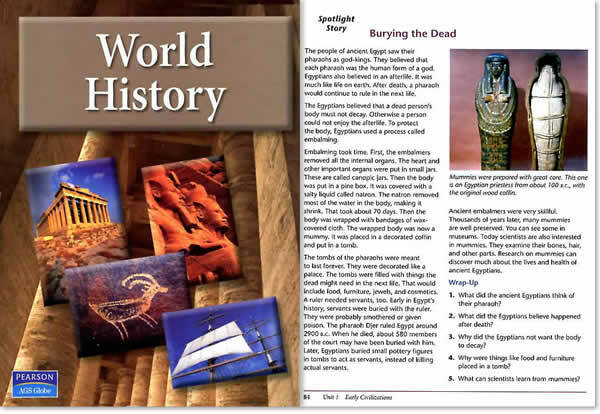 With an easy-to follow format, this full-color text encourages students to read and gain more understanding about the world in which they live. 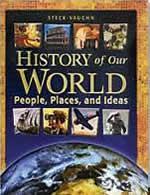 AGS World History provides engaging features like History in Your Life, Skill Builders, and Geography Skills/Map Studies that make World History relevant to students. Chapter review questions mirror those found on standardized tests. Student Workbooks provide necessary practice and reinforcement activities. 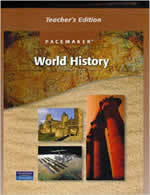 The AGS World History Digital Edition includes the Student Edition on CD-ROM. It delivers all the content in a technology enhanced format that provides on demand support for learners struggling with the text. Easy to install. Functions on both Windows and Macintosh platforms. Textbook chapters are available as audio recordings on a Playaway® device a self-contained, non-rewritable audio player offered in place of an audio CD. The Teacher's Resource Library CD-ROM offers hundreds of reproducible activities including those from the Student Workbook and Self-Study Guide, two forms of chapter tests, plus midterm and final tests. For Windows computers only (XP/7/8/10). 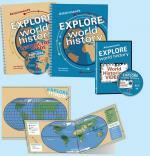 Each Curriculum Class Set includes: 10 Textbooks, 1 Teacher's Edition plus 1 Teacher's Resource Library.